On Tuesday, Bethel City Council unanimously approved the building of Blue Sky Subdivision, which would wrap around Larson Subdivision near the airport. At the start of the council meeting, Bethel residents expressed resounding support for the proposed neighborhood, saying that Bethel needs more housing. “I see more growth coming up, more expansion of Bethel,” resident Sonny Venes said. 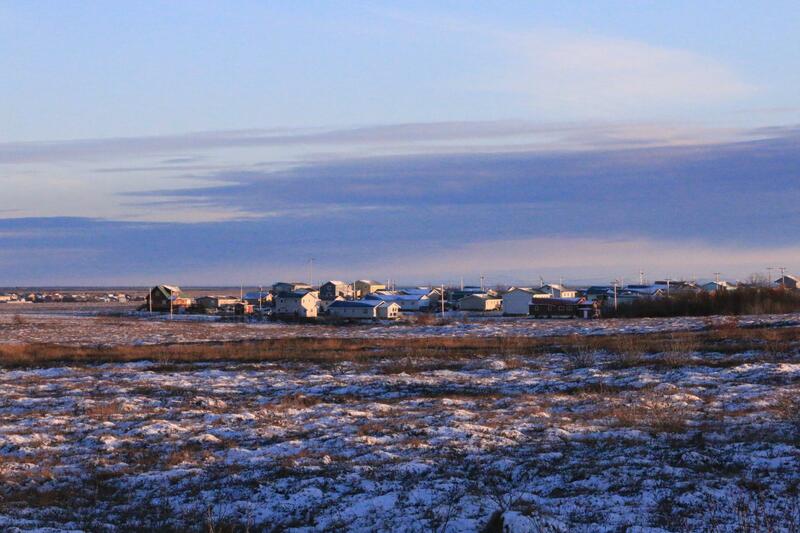 “I’ve been working at YKHC since 2001, and we have had a housing committee that we started 15 years ago, and we have had a waitlist for housing every single year that I’ve been at YKHC and here at Bethel,” said Yukon-Kuskokwim Health Corporation President and CEO Dan Winkelman. “We are going to strangle the development of this city and cause young people to have to move out of this city because there is no cheap housing for them to go to,” warned resident Hugh Short. Council members agreed with them. “I think it’s very clear Bethel does have a lack of affordable housing and good quality housing,” said council member Mitchell Forbes. On the other hand, many council members, including Forbes, worried about the cost of delivering water and sewer services to the proposed subdivision. The central question is: will water and sewer costs increase for other Bethel residents to subsidize the costs for the subdivision? The water trucking system is already stressed, and so are the roads. Despite these concerns, council members felt that the discussion regarding the development had dragged on long enough. The landowner, Sen. Lyman Hoffman, first submitted paperwork for Blue Sky Subdivision more than a decade ago. City council approved construction of Blue Sky Subdivision five-to-zero. If Blue Sky developers agree to the terms set by the council, they can begin construction on the new 22-acre subdivision. The Bethel Planning Commission has approved with conditions Sen. Lyman Hoffman’s preliminary proposal for a residential project called Blue Sky Estates. But much still needs to be resolved before approval would be final. The proposed subdivision of 82 lots would wrap like a horseshoe around Larson subdivision and sit on 22 acres of land. The Bethel Planning Commission approved the Blue Sky Estates Subdivision last week. It's a project that Lyman Hoffman has been working for almost a decade to develop. State Senator and Bethel resident Lyman Hoffman is reviving his effort to develop a subdivision on his native allotment near the Bethel airport. The proposed “Blue Sky Estates” would wrap around Larson Subdivision.